Is there any value in "face time" for a candidate? Until Tuesday, at least, Holloway was employed by the Public Defender's office. It was on Tuesday that she allegedly took delivery of a 38 pound package of pot -- at the office. A police officer dressed as a UPS delivery person brought it in. Holloway buzzed two kids into the office -- the police wouldn't say if these were her own kids, although the story this morning in the Chicago Sun-Times noted that she apparently has two kids who about the ages of these kids -- and then left with the two kids and the package. When Holloway tried to hand the package to her husband, waiting outside in a car, the police moved in. To this point, this is a standard-issue dumb criminal story. What caught my eye, though, was that 15th Subcircuit judicial candidate Anna Helen Demacopoulos was the spokesman for the prosecutor's office when this story was reported. I saw her on one of the TV newscasts last night (Channel 9, I think) and, this morning, I saw she was quoted extensively in the Sun Times story. Obviously, Ms. Demacopoulos' status as a judicial candidate was not mentioned, nor should it have been. But the question is: Do stories like this -- favorable press mentions -- help a judicial candidate? Or do they come and go like soap bubbles, usually fading from the public consciousness without leaving any lasting impression? Leave your theory in the comments if you like. Suspect photo obtained from the NBC5 website. This is Robert Restaino, until recently a judge in upstate New York. The above photo, by Dan Cappellazzo, first appeared in the Niagara Gazette on a happier occasion in Restaino's life, when he was elected a Niagara Falls city judge. 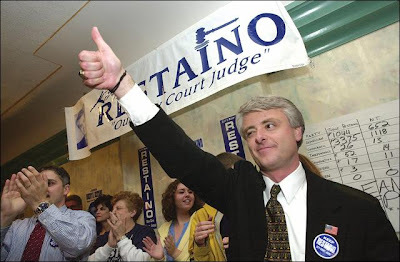 Restaino's lost that job, at least for now, because of a March 2005 incident in his courtroom. There was a sign in the courtroom cautioning all present to turn off their cell phones. 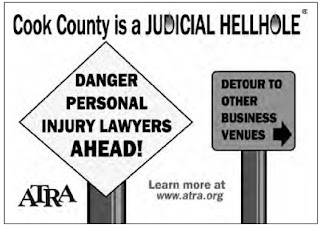 According to the AP story that ran in the November 28 issue of the Chicago Daily Law Bulletin, "Restaino was hearing the cases of domestic violence offenders who had been ordered to appear weekly to update the judge on the progress of their counseling" when, despite the cautionary sign, someone's cell phone went off. That set the judge off. And when no one produced the offending phone, Restaino announced, "Everyone is going to jail.... Every single person is going to jail in this courtroom unless I get that instrument now. If anybody believes I'm kidding, ask some of the folks that have been here for a while. You are all going." And then, according to the story, they all did go to jail -- all 46 people in the room. Fourteen of those, those that couldn't make bail, "were shackled and bused to another jail." Restaino ordered them all released that afternoon -- but it was too late to save his job. The AP reported that Raoul Felder, chairman of the state Commission on Judicial Conduct, wrote (in an opinion issued November 13 and just made public Tuesday afternoon) that Restaino "'snapped' and 'engaged in what can only be described as two hours of inexplicable madness.'" The story's already been picked up around the world. (See, for example, these articles in the Times of India or the Guardian.) The tone of coverage has been uniformly critical. But Restaino has received a more sympathetic press in his own hometown. Mark Scheer's news story in the Niagara Gazette, said the court commission was "was unrelenting in its criticism." The article quoted Restaino's lawyer extensively, stressing the lawyer's hope that the New York Court of Appeals (to which an appeal of the court commission's decision will be made) "will measure those few hours against a decade of [Restaino's] exemplary conduct on the bench and years of extraordinary service to the Niagara Falls community." The Gazette also ran a column by Ken Hamilton. Hamilton lamented that the court commission couldn't see "what our Judge Bobby did, day in and day out." Hamilton said the commission needed to "understand how frustrating it is to see the same groups of people, over and over and over again." Besides, Hamilton wrote, "There have been very few community-based boards or trusteeships to which the judge has not given his quality time in helping to improve the lives of those who too often parade themselves in front of him. He has poured his heart and soul into this little dysfunctional community that we call home and he has loved it as though he gave birth to it. He has given and given and given and given and all that he has ever asked for in return was a little respect. Apparently, when the respect gave out just one time too often, so did his patience and judicial temperament and for one moment in time, his human side exposed itself." In another case, one might call that a ringing endorsement of Judge Restaino's character. That would probably not be a felicitous choice of words in this case, however. James E. Babcock, Jr. is a Republican candidate for the Ryan vacancy in the 13th Subcircuit. I am the grandson of the late Marty "Abe" Jackson, Will County Magistrate, and Judge who served 18 years during the 50's and 60's and was later elected as Will County Sheriff. My father is the late James E. Babcock, Sr. a Joliet attorney. Whether sitting next to my grandfather on the bench at the old limestone Will County Court House as a child or walking to downtown Joliet as a teen to watch my father's closing arguments, I knew that I wanted to be an attorney and someday, a judge. During past 22 years, I have attempted to maintain a clear understanding of both procedural and substantive law, changes to the same as they occur, and the experience learned in law school remain true today. Every case from the drafting of pleadings through jury instructions begins with a clear understanding of the law to be applied to a case. I am a busy litigator, with a diverse practice and often deal with complex litigation. Despite this and what is often a hectic schedule, I attempt to remain on time and do not engage in personal attacks no matter how much unrestraint an opponent may have. I stay in contact with my opponents to minimize wasting the Court's time and I speak with candor. My opponents, the courtroom staff, clerks and deputies are treated with dignity and respect. The two critical elements in evaluating judicial candidates and their ability to do justice are experience and fairness. As to experience, not only is the length of experience important, but the success, complexity and diversity of that experience. That experience is not only gained in the files and matters in which I represent a party, but those times wherein I am in a courtroom waiting for my matters to be called and observing, listening and experiencing how others may practice and how judges may arrive at their rulings. As a jurist in non jury matters or pretrial motion practice, it is the Judge who must weight the credibility of the evidence presented. Experience matters. The second element, fairness, must be seated in a conviction that the respect earned must be equal to or greater than the respect received together with a strong commitment to not only knowing right, but doing right. How have these two elements of experience and fairness translated into my practice of law? My practice is built not upon advertisement, but by my reputation of experience and fairness. Those that retain me are often times family, friends, relatives, co-workers or neighbors of existing clients. A large portion of my practice has been built upon referrals not only from the plaintiff's bar but also from defense attorneys against whom I have tried cases over the last 22 years. Over the past 10 years, there has been a greater focus and success in the implementation of procedures to alleviate the delays previously experienced in our courts, especially in the Law Division. Every job change requires a learning curve. Our system is making strides to be efficient and effective, can we really afford to elect someone who has less experience, knowledge and who is not "trial ready"? I have the experience, the knowledge, and the commitment to make litigation, fair, less expensive, and more efficient. Although the changes made in the last ten years have facilitated a move toward a more efficient civil judicial system, the time and resources required to be spent on procedural matters sometimes prevents matters from being resolved by pretrial conference An effective pretrial Judge must have the respect of the litigants in his knowledge of the subject matter, a proven record of experience in evaluating both the strengths and weaknesses of a broad range of complex litigation and a proven reputation for fairness from both sides of the bench. I have proven to possess those qualifications from both sides of the bar. In addition, I believe a Judge should be an administrative advocate. If something is right, it ought to be done. The following are areas for change involving our youth and the elderly. The first area would be Minor's Estates. $10,000 is far too much money to allow in even the best intentioned parents' control. The second area would be a task force to try to come to some compromise in what is now a four to six month process in obtaining Medicare lien information and settlement authority for our seniors who are injured in accidents. A friend, former judge and referring attorney with whom I consulted said, "Jimmy you can’t recreate the wheel." My response is and always will be if it’s right it ought to be done, keep trying to put the square peg in the round hole and eventually that peg may wear down. Tonight I put up a fourth installment of the "In Their Own Words" series; several other candidates have already expressed interest and I look forward to putting up many more in the weeks to come. I want every Cook County judicial candidate to have a chance to present himself or herself as he or she thinks best. I invite every judicial candidate in Cook County to send me an email. In 500 words or thereabouts (I initially said 500 words or less and this stressed some people out), I would ask each candidate to say why he or she should be elected. I'm not asking anyone to compare themselves to any opponent. Recall the adage 'you don't make your own candle shine brighter by blowing on someone else's.' I'm asking each candidate to say why he or she is the best choice for the voters to make. I'll run what they write. A couple of weeks before the primary I'll set up wrap up posts -- I'll arrange "sample ballot" posts. Each candidate who participates will have their name shown as a link -- a link to that candidate's "In Their Own Words" post. That way, voters will be able to 'comparison shop' -- reading each candidate's post and making a truly informed decision about their vote. I continue to seek candidate website links. If you know of a candidate with a website, send me the link. I will put it in the Sidebar here. I'm still looking for candidate questionnaires. I think it might be very interesting to examine the questions posed by interest groups on both ends of the political spectrum... especially if we can run them side by side. 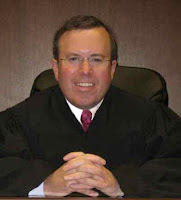 Judge Michael B. Hyman is a candidate for the countywide Nowicki vacancy. As a judge, I hold fast to the ideals of justice -- to do what I can to make the legal system a true instrument of justice and thereby elevate the public's confidence in the courts. Justice, through its servants, judges, requires that each litigant be treated equally and fairly and with dignity – the immigrant the same as the aristocrat; the powerless the same as the powerful; white or nonwhite, straight or gay, men or women, equally; otherwise, justice dries up, rots, and ultimately goes dormant. "If we do not maintain justice," said Francis Bacon some 400 years ago, "justice will not maintain us." I believe that judges need more than legal ability to properly dispense justice. Judges also must appreciate the inherent powers and wide discretion that go hand-in-hand with such a privileged position and value the complexities of contemporary life in terms of its social, political, economic and historical aspects. During my professional career, now in its 30th year, I not only honed the legal skills and procedural know-how necessary to preside over hearings and trials, but I also honed my sense of everyday life which well prepared me to make decisions that affect peoples' lives. Bar associations in town have issued extremely favorable evaluations of me. The Chicago Council of Lawyers, for example, rated me "Well Qualified," stating: "Mr. Hyman is considered to have very good legal ability and temperament. He has substantial trial experience and he is of the highest integrity and his work with the organized bar has been outstanding." The Chicago Bar Association rated me "Highly Qualified," stating: "Mr. Hyman is highly regarded for his knowledge of the law, legal experience, integrity, and fairness and fine temperament. Throughout his career, Mr. Hyman has demonstrated an extraordinary commitment to public service and to improving the legal profession through his work with numerous bar associations." My legal practice predominately involved prosecuting complex fraud cases with the best legal talent in the country on the other side. I was a recognized national authority in the class action arena and selected annually as among the cream of Illinois lawyers by Leading Lawyer and Illinois Super Lawyer, including selection as one of the Top 100 Illinois Super Lawyers of 2005. I served as president of the Chicago Bar Association and as president of the Decalogue Society of Lawyers. In addition, I have held numerous leadership positions in the ABA, the ISBA, CBA and the American Society of Legal Writers. As a sitting judge, I am extremely careful never to become an advocate for either side. Fairness is my mantra, impartiality my mandate. I must ensure that the litigants in each case receive their "day in court," which includes a full and fair hearing in a timely fashion. And that every litigant leave the court feeling that, win or lose, I was open-minded, impartial, respectful, rational, and diligent. Because that is required if we are to maintain justice. When I embarked on this project of covering the judicial primary in Cook County I made it a point to state expressly that I would not be filing for the primary -- and, of course, I didn't. However, a number of vacancies were recently posted for the office of Cook County Associate Judge. I have applied for Associate Judge on several prior occasions and I applied this time as well. 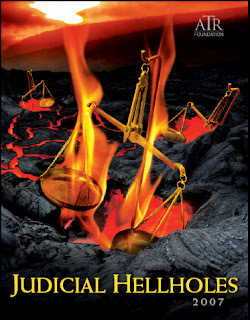 Associate judges are elected by the full circuit judges (the judges elected by the people). In Cook County, a screening committee composed of judges will sort through all the applications (last time out there were 242 applicants for what turned out to be 31 vacancies). Two finalists will be chosen by this screening committee for each vacancy and the circuit judges will select their new colleagues from those finalists. It may be a year or more before the next class of associate judges is chosen. Actually, as Rich Miller in The Capitol Fax Blog points out, the CFL made endorsements in a number of races, judicial and otherwise, but Mr. Miller chose not to include the judicial endorsements in his post today. So I'll put the judicial endorsements here. Click here for the full list of CFL-endorsed candidates in handy .pdf format. This link should take you to the CFL's press release and another version of the endorsement list. Unless this list is amended -- and it may be, of course -- it appears that the CFL did not make an endorsement in at least one contested primary, the race for the Bush vacancy in the 5th Subcircuit. Also, James N. O'Hara is unopposed in his bid to replace Judge James F. Henry -- but then, the CFL also decided to endorse Justice Anne M. Burke in her uncontested race. Courtesy of an email from Mary Biesty, the candidate's wife and campaign manager, I have this link to the campaign website of Thomas Francis Biesty, candidate for the Pucinski vacancy in the 10th Subcircuit. I've added this link to the list of candidate websites in the Sidebar. If you know of a candidate website that is not listed in the Sidebar, please send me an email. Found: Campaign website of 13th Subcircuit Republican hopeful James E. Babcock, Jr. I've also added this link to the list of candidate websites in the Sidebar. If you know of a candidate website that is not listed in the Sidebar, please send me an email. Debra Kramer Marcus is a candidate for judge in the 8th Subcircuit. Over my 27 years practicing law, I have had the opportunity to gain a wealth of experience in a variety of civil litigation matters, concentrating all of my efforts in courtroom related work. I began my career working primarily on defense files for a wide spectrum of clients, including defending doctors in medical malpractice cases, manufacturers in product liability cases, and the insureds of various insurance companies. I then became a founding partner of a boutique-style law firm, where I practiced for the next 20 or so years, and which by its unique nature presented an even broader range of civil litigation matters with which I was personally involved, including the defense of large manufacturing concerns such as Chrysler, General Motors, Honda, Suzuki, Toyota, and Kawasaki. In this area I have been a featured speaker for IICLE and for client sponsored corporate seminars on issues of motor vehicle litigation and discovery. Additionally, I have had, and continue to have at my current law firm, the opportunity to represent hundreds of injured plaintiffs. These cases run the gamut from injuries sustained in motor vehicle accidents, to slip and falls, to individuals suing transit companies, doctors, hospitals and major manufacturing concerns. Many of these cases have involved catastrophic injuries and complex liability issues, and have resulted in multimillion dollar settlements and/or verdicts. 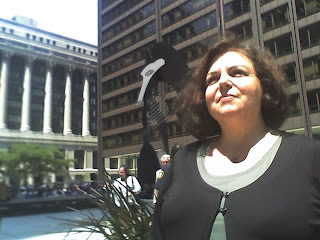 Finally, I have had an extensive appellate practice, having briefed and argued numerous appeals in various Illinois Appellate Courts, the Illinois Supreme Court, the Federal District Court for the Northern District of Illinois, and the 7th Circuit Court of Appeals, resulting in over 20 reported decisions, either changing or supporting Illinois law. I have recently been selected as an Illinois Super Lawyer, 2007 through a multi-step evaluation process that incorporates peer recognition and professional achievement to select the top 5% of Illinois lawyers for outstanding achievement in their practice of law. Because of the large number and types of cases that I have been associated with over the years, I have acquired extensive experience in every stage of the civil litigation process. Further, because my experience has included work on behalf of both plaintiffs and defendants, I believe that I have a unique and beneficial perspective on handling all of the hotly contested issues that arise in the courtroom arena. Moreover, I have always endeavored to conduct myself with professional and personal integrity and have consistently maintained cordial relationships with my opponents, as well as the judges before whom I have appeared, continuing these relationships long past the pendency of the case which formed our initial introduction. I feel that obtaining a judicial appointment would be the pinnacle of my legal career as well as an opportunity for me to give back to the legal community which has enriched and rewarded me over the past 27 years. Cook County judicial candidates are invited to submit their own personal essays. For more information about the "In Their Own Words" challenge, click here. Thomas R. Mulroy is a Democratic candidate for the Devlin vacancy in the 12th Subcircuit. I am a Circuit Court Judge from the 12th Judicial Sub Circuit, having been appointed to the bench by the Illinois Supreme court in February 2007. I practiced law for thirty-four years and have a depth of varied courtroom experience representing clients in their most important legal matters. Temperament, decisiveness, politeness are essential qualities in a judge, but experience in the system and in representing clients cannot be learned and is invaluable to a judge. I am pleased to detail my experience below. Upon graduation from Loyola Law School, I was appointed an Assistant United States Attorney and began my career as a courtroom lawyer. As a federal prosecutor I tried many jury cases in federal court and argued numerous matters before the Seventh Circuit. I joined Jenner & Block in 1976 and remained with the firm for twenty-five years. I tried criminal and commercial jury cases throughout the country in the state and federal courts. I was very active in the representation of indigent clients through Catholic Charities, Legal Assistance Foundation and the Federal Defender Program. While at Jenner, I was a member of the Illinois Attorney Registration & Disciplinary Commission and was appointed Special Council to the Commission and prosecuted two members of the Commission for misconduct. I was an instructor of trial practice at Northwestern, Loyola and DePaul law schools and published numerous articles on trial practice and procedure. I established “The Mulroy Award for Excellence in Evidence” at Loyola Law School. I have given many presentations on trial issues and on lawyers’ ethics to practicing attorneys throughout the country. In 2000, I left Jenner to begin my own firm. I represented the retired partners of Arthur Andersen in the wake of the Enron scandal and Andersen’s bankruptcy in order to recover some of their life savings lost as the result of Andersen’s scandal. In 2003, I was recruited by Mcguirewoods to be chairman of its litigation department prior to its merger with Ross Hardies. I could not resist the opportunity of joining a national firm of almost 1000 lawyers in fifteen cities. I was found highly qualified to be a judge by the Chicago Bar, Women’s Bar, Decalogue Society and Chicago Council of Lawyers. I am the endorsed Democratic candidate for the 12th Judicial Sub Circuit. Justice Oliver Wendell Holmes, Jr. wrote that “The life of the law has not been logic; it has been experience.” Above all, we need judges who are experienced. 8th Subcircuit candidate Debra Kramer Marcus has sent me an email providing a link to her campagin website. I've also added it to the list of candidate websites in the Sidebar. If you know of a candidate website that is not listed in the Sidebar, please send me an email. A lot of petition challenges have been filed, so for many judicial candidates "challenge" right now is a loaded term. But I propose a different kind of challenge here. My belief is that judicial primaries provide a rare opportunity -- too rare these days -- to actually vote for a candidate. In fact, I suspect that many readers will come to the conclusion that, in many races, there are many good choices. The bar associations have begun to scrutinize the candidates' credentials. I hope that all serious candidates are participating in this process. But, in the final analysis, bar association recommendations can only show how the candidates are measured by their peers. The special interest groups will now also begin to measure the candidates according to their own agendas. I mentioned recently the questionnaire put out by the Illinois Civil Justice League. I mentioned that one specifically because I have a link to it; I know there are others from all sides of the political spectrum. I'd be pleased to post links if anyone will share. But my point is that it would be a shame if candidates allowed themselves to be framed by these questionnaires: It would be better if each candidate could present himself or herself as he or she thinks best. And that is my challenge. I invite every judicial candidate in Cook County to send me an email. In 500 words or less, I would ask each candidate to say why he or she should be elected. I'm not asking anyone to compare themselves to any opponent. Recall the adage 'you don't make your own candle shine brighter by blowing on someone else's.' I'm asking each candidate to say why he or she is the best choice for the voters to make. I'll run what they write. And a couple of weeks before the primary I'll set up wrap up posts -- I'll arrange "sample ballot" posts. Each candidate who participates will have their name shown as a link -- a link to that candidate's "In Their Own Words" post. That way, voters will be able to 'comparison shop' -- reading each candidate's post and making a truly informed decision about their vote. I'll start putting up posts now -- as soon as they come in. Sure, the first ones that come in will be "buried" in the blog -- but the links on the "sample ballot" posts will take voters to each one. As a practical matter, I'll probably have to cut off these posts by early January so that I can get the "sample ballot" posts up and available in plenty of time for the primary. This is a chance to make the stump speech most of us who've run for judge will never have a chance to make. I know writing such an essay won't be an easy task: As lawyers, we're used to advocating for a client -- for someone else. It's not as easy to talk about ourselves. But I am tired of hearing about how no one knows who to vote for on the judicial ballot. I know candidates want to be heard; I know that there are limited outlets. I offer this as one. If it's presumptuous of me to do make this offer -- well, it probably is. Candidates: Just so you can gauge what your post will look like on this page, the post above to the dotted line is 543 words. I've put together a list of all the candidate websites I've found (or that have been sent to me) so far. Please: If you know of a live site, send me an email or leave a comment. I'll add it in. UPDATE -- November 20, 2007: The website for Judge Thaddeus L. Wilson is back on line again and has been added to the Sidebar accordingly. Granted, it was no mystery to the persons involved, but when I looked at the list of candidates filing in the 5th Subcircuit, I couldn't find out anything about Helen Paxton. I concluded my post with a plea for information. Well, ask and ye shall receive: An email arrived a few days back from Kulmeet S. Galhotra advising that Helen Paxton is Helen Paxton Arnold, an Assistant Public Defender at 555 W. Harrison. Paxton has been working in domestic violence courtrooms, he advised, since the courthouse was at 13th and Michigan. And "Bob" Galhotra should know; he's President of the Cook County Public Defenders' Association (he was also kind enough to send along the link to the union's website). Jackie Marie Portman holds down the top ballot spot in the race for the Bush vacancy. Portman has been a lawyer since 1999, and is making her second run for the bench. She finished fourth in the 2004 primary contest for the Cox vacancy, about 18,000 votes behind the winner, Edward Washington, II. Portman is employed by the City of Chicago Office of Professional Standards. An objection has been filed to her candidacy. Next on the ballot will be Judge Furmin D. Sessions, recently appointed to that vacancy by the Illinois Supreme Court. An objection has also been filed to his candidacy. Nkrumah Lumumba Hopkins holds the third and final ballot position for this vacancy. An attorney since 1998, she is a solo practitioner with an office on East 53rd Street. Stephen Stern won the top spot for this race. Stern is a former president of the Cook County Bar Association. He too has a solo law office; his is in the Loop. 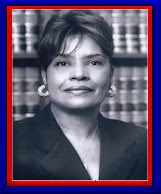 Dominique C. Ross has been a lawyer since 1995. She maintains a solo office at 26th and Michigan. Helen Paxton will have the last spot on the ballot in this race; she did not file her papers until later in the morning of October 29th and so was not eligible for the ballot lottery. Objections are pending to her candidacy and to Stephen Stern's. Assistant State's Attorney John Garrett Maher will be first on the ballot for the Pucinski vacancy. An attorney since 1993, Maher was recently in the news as the prosecutor in the Phillip Radmer case. 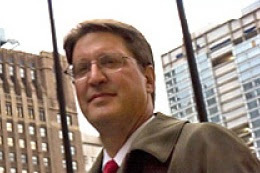 According to an article by Ray Gibson and Robert Becker in the September 25 Chicago Tribune, Radmer was the ex-Berwyn attorney who "was the central figure in a scheme, uncovered last year by the Tribune, to steal more than 60 vacant lots using phony corporations and fictitious buyers. Radmer netted at least $655,000 from the sale of just four properties owned by the First Presbyterian Church of Chicago." Eileen O'Neill Burke is not a State's Attorney, although she was for 10 years. An attorney since 1990, O'Neill-Burke (her name is hyphenated in Sullivan's) maintains a solo office on Northwest Highway on the Northwest Side of Chicago. O'Neill-Burke made the news a little over a year ago for her representation of Mardin Azad Amin, a young man who was trying to go home to Iraq for a family reunion when a female airport security guard discovered something in his carry-on luggage that she could not identify. She asked Amin what it was and he said it was a "pump" -- but the security guard thought he said "bomb." O'Neill Burke was ultimately able to make the felony charges go away; the news stories printed world-wide are still lurking on the Internet. Joan Ellen Smuda is now an Assistant Attorney General, but she was appointed to the Circuit Court in 1995. She lost her 1996 primary bid to keep her seat when she was unable to secure the Democratic Party endorsement. Smuda has also served as general counsel for the Polish Roman Catholic Union of America. Kenneth L. Fletcher is the slated candidate for the Pucinski vacancy. He was appointed by the Illinois Supreme Court to fill this vacancy. Before going on the bench, Fletcher was an Assistant Public Defender. Thomas Francis Biesty is an Assistant State's Attorney who's been associated with the Cook County State's Attorney's cold case unit. He recently prosecuted Juan Luna for his part in the 1993 Palatine Brown's Chicken massacre. He drew the last spot on the ballot in this race. Diana L. Kenworthy will be first on the ballot for the Morrissey vacancy in the 10th Subcircuit. 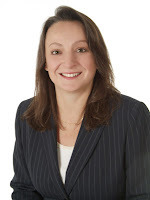 A lawyer since 1995, Kenworthy started her legal career in the Public Defender's office, she is a partner in her own firm, Jester, Kenworthy & Eagle LLC. Kenworthy is the slated candidate of the Democratic Party in this race. John G. Mulroe is also in this race. A C.P.A. 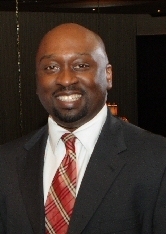 as well as an attorney, Mulroe serves as a hearing officer for the City of Chicago and the Chicago Park District. He also has served as an arbitrator in the Cook County court-annexed mandatory arbitration program. Mulroe is a past president of the St. Juliana Parish School Board, according to his site, and as President of the Edison Park Community Council. He and his wife, Margaret, have four children. The last candidate in this race is Assistant State's Attorney Rosaire Marie Hall. 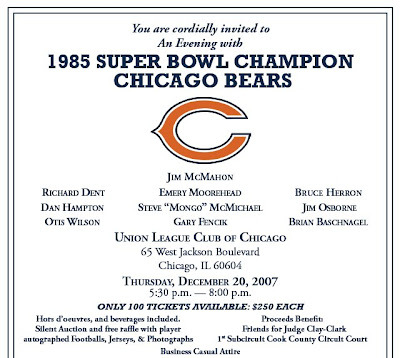 A colleague, Assistant State's Attorney Matthew W. Jannusch sent me an email today advising that a fundraiser will be held for Hall on Monday, November 19 from 5:30 to 7:30 pm at Gibson's Bar and Steakhouse, 1028 North Rush Street, Chicago. Jannusch writes, "Donations can be taken in advance or at the door. Suggested donation levels are Friend $50.00, Supporter $100.00, Patron $150.00, Benefactor $250.00 and Champion $500.00 or above." For more information or to make a reservation, email rosairemariehall@yahoo.com. According to Jannusch, Hall and her husband have lived in the 10th Subcircuit for 34 years. They have four children. Hall came to the law after working as a chemist for the City of Chicago for six years; she also served as Executive Director of the non-profit Edgewater Development Corporation. Writing about her legal experience, Jannusch reports Hall has "worked tirelessly for victims of domestic violence in Skokie, Rolling Meadows and at the Domestic Violence Courthouse at 13th and Michigan and at 555 West Harrison. She has also prosecuted deadbeat non-custodial parents at the Daley Center, 32 West Randolph, Skokie, Rolling Meadows, Maywood, Bridgeview and Markham." It's up but the links are inactive so far, at least the ones I've checked out. But ICJL has a very neutral-sounding site, called IllinoisJudges.net which lists each and every candidate for judge in Cook County, including all subcircuits. There is also a candidate questionnaire on the site... but I would suggest that some of the questions there are not particularly neutral. Perhaps this is a topic we can come back to. If you've read the ICJL questionnaire and have opinions about it, leave a comment. Have you seen other interest group questionnaires yet? Send me the links. Challenges are coming in thick and fast in many of the judicial races, both countywide and subcircuit, but in the 10th Subcircuit, the candidates seem to have aligned themselves, selecting their races, with nary a challenge among them. Gerald Patrick Cleary is a partner with Smith Amundsen -- not a lawyer for the Northern Trust Bank, as I'd speculated here in an early September post. To that other Gerald P. Cleary, Jr., I apologize; I was led astray by the fact that Candidate Cleary is using Patrick as his middle name professionally these days -- but a different middle name is listed on the ARDC website. (This is not a problem, as this post shows.) Candidate Cleary has been a lawyer since 1989. 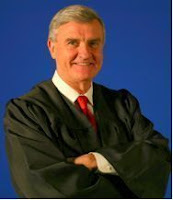 The Illinois Supreme Court appointed James Edward Snyder to fill the Kowalski vacancy in March 2007. He ran in the 10th Subcircuit once before, in 2004. 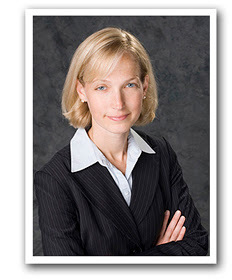 Before going on the bench, Snyder was general counsel to the Illinois Human Rights Commission. 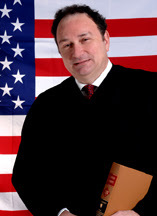 Stephen F. Sidlowski works for the Chief Judge's office. He's been a lawyer since 1989. I believe Sidlowski started his legal career in the Public Guardian's office. He was then named, in 1993, fitness review administrator for the Chicago Archdiocese by Cardinal Bernadin, evaluating charges of clerical misconduct. In that capacity Sidlowski was soon required to evaluate the fitness of his boss when Steven Cook made charges of misconduct (ultimately recanted) against Cardinal Bernadin. Sidlowski moved to the Circuit Court in 1995, becoming a hearing officer in the Child Protection Division. The most recent edition of Sullivan's shows his title as Staff Attorney in the Legal Research Division of the Chief Judge's Office. Judge Snyder won the ballot lottery today for the top spot for the Kowalski vacancy. He will be followed on the ballot by (in order) Ursula Walowski, Gerald Patrick Cleary, and Stephen F. Sidlowski.